Common Cause Wisconsin: Campaign Finance Reform Measures Should Be Passed This Summer/ Erpenbach-Ellis Comprehensive Reform Legislation is "Back"
Campaign Finance Reform Measures Should Be Passed This Summer/ Erpenbach-Ellis Comprehensive Reform Legislation is "Back"
Last week's teleconferenced, joint legislative committee public hearing on major campaign finance reform legislation -- held simultaneously in Eau Claire and in Madison -- was historic, setting the stage for movement toward passage and enactment into law the first significant reform of Wisconsin's currently ineffective and loop hole-ridden campaign finance law in more than 30 years. There is some possibility that yet another joint public hearing may be held on one or both of the reform measures under consideration. ASSEMBLY BILL 63 and Senate Bill 43 are identical measures that require the disclosure of donors and regulation of money used in currently undisclosed, unregulated campaign communications masquerading as issue advocacy, better know as "phony issue ads." These measures would apply only to widely disseminated communications that run 60 days or less prior to an election. ASSEMBLY BILL 65 and Senate Bill 40 are identical measures to provide full public financing to qualified candidates for the State Supreme Court who voluntarily agree to abide by spending limits totaling $400,000. The additional public hearing, perhaps in Milwaukee, would be held in order to receive further public testimony. Regardless of whether or not there is an additional public hearing, the Legislature can and should move toward passage of these two reform measures this Summer. Others agree with us. Read the Editorial in The Capital Times: Campaign finance reform's moment. 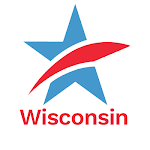 While the phony issue ad regulation and disclosure legislation would be applicable to all state elections in Wisconsin, the Impartial Justice bill would reform and provide public financing for only State Supreme Court elections. The Legislature, the Governor and all other statewide elected offices are still in desperate need of sweeping campaign finance reform. That's why it is so important and significant that Senator Michael Ellis (R-Neenah) and Senator Jon Erpenbach (D-Middleton) have teamed up yet again to introduce comprehensive campaign finance reform legislation. The 2009 version of the legislation, Senate Bill 221, was formally introduced on May 26th with bipartisan and bicameral co-sponsorship. Some modifications and improvements have been made to this, the sixth version of this sweeping measure, which was first devised and introduced by Senator Ellis, with considerable input from CC/WI a decade ago--in 1999. We have strongly supported it in every legislative session and do now as well.